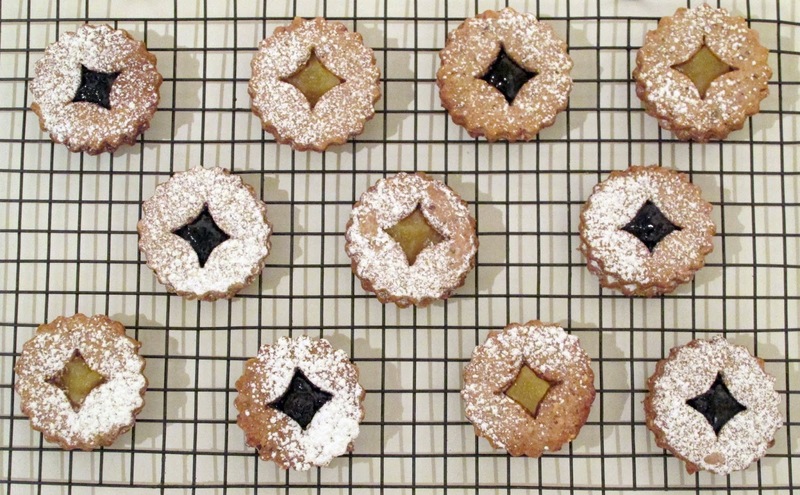 This recipe suggestion/Burgh-inspired pun is a riff on traditional Linzer cookies. 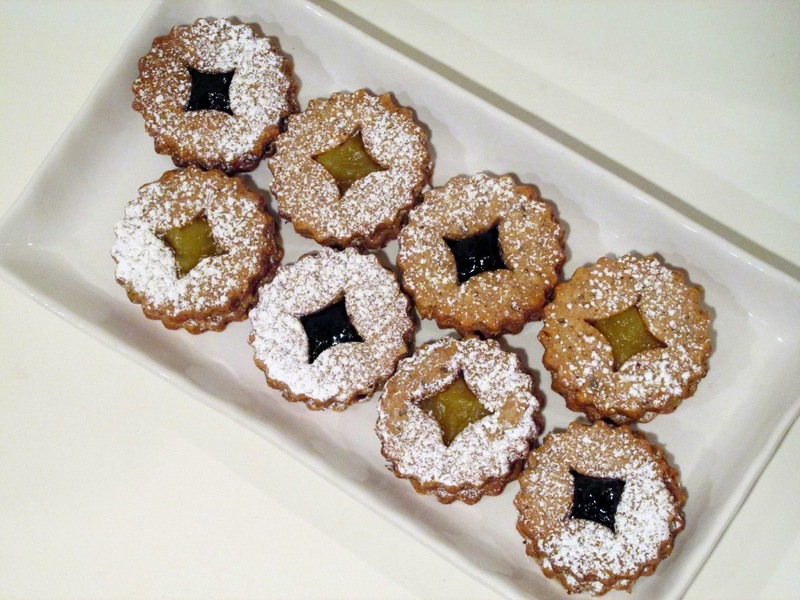 Linzer cookies (and tarts) incorporate spices and hazelnuts in the dough as well as a fruity jam filling. Yoi! And if for some reason the yinzer reference is lost on you (a quirk in the regional dialect that is near and dear to my heart), go ahead and look it up. Philly has "yous," the South has "y'all," and the 'Burgh has "yinz." As in, "Yinz want some pop?" In case yinz haven't seen it yet, Comedy Central's Kroll Show recently took a closer look at Pennsylvania's polarized, but equally... distinct... regional accents. Within a day, numerous people sent me clips from the bit. Yinz all know me so well. 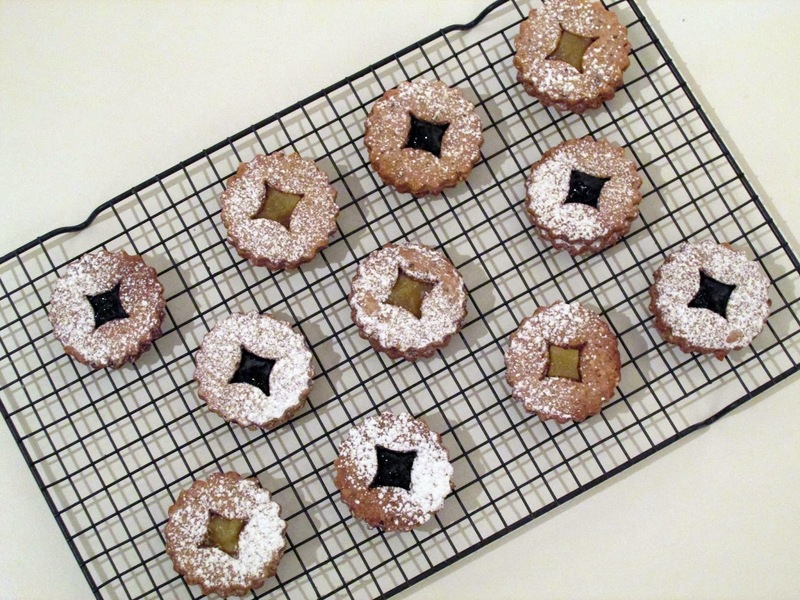 To yinzify the sandwich cookies, I used a hypocycloid cookie cutter for the top half of each sandwich and filled them with blackberry preserves and lemon curd (black and yellow, black and yellow). I opted for store-bought preserves, though this recipe from Pittsburgh's own Brown-Eyed Baker has easy directions for from-scratch lemon curd. Cream together butter and sugar with hand mixer on medium speed. Add egg yolks one at a time, scraping down sides of bowl in between. Mix in vanilla. Pulse bread flour, hazelnuts and cinnamon in food processor until hazelnuts are finely ground. Fold dry ingredients into wet, stirring with a wooden spoon or rubber spatula to form dough. Pat into two disks, wrap with plastic and refrigerate for one hour. Preheat oven to 350 degrees. Lightly dust work surface with flour, then roll out first dough disc to 1/4 inch thickness. Cut cookies from dough with 2 inch circle cookie cutter. Place on parchment-lined baking sheet. Use small, decorative cookie cutter to cut centers from half of the cut circles. Bake for 12 minutes, then allow to cool. 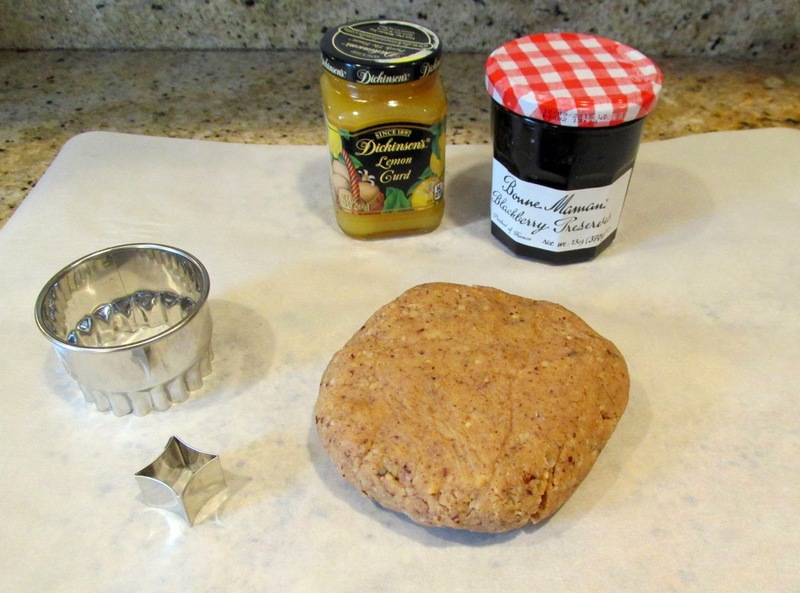 Collect dough scraps, roll into a ball, wrap in plastic and return to refrigerator. Remove second dough disc, roll out and repeat the process until all dough is used. 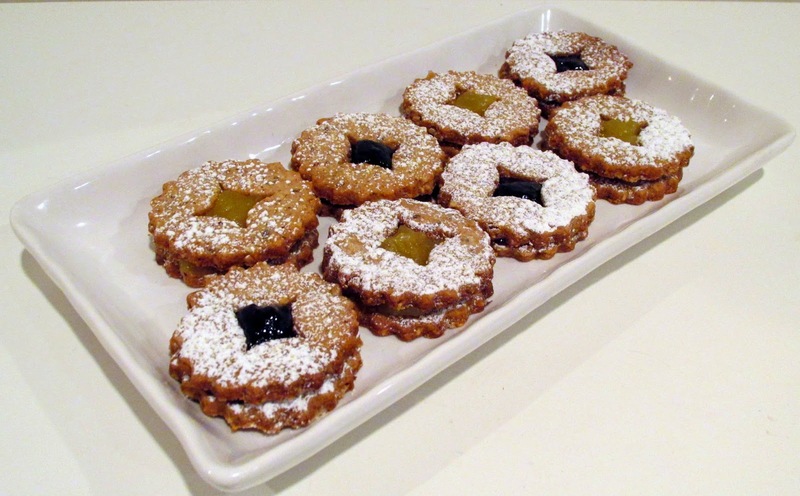 Once cookies have cooled, dust with confectioners' sugar, spoon preserves and curd onto bottom-half cookies, and assemble sandwiches.